Back during the summer, French website Jeuxvideo interviewed Zelda series producer Eiji Aonuma. Although it had some interesting comments, the discussion largely went unnoticed. We decided to follow up with a full translation since we felt that it was a pretty worthwhile interview. Zelda series producer Eiji Aonuma and art director Satoru Takizawa were the participants this time around. The two were asked about the game’s difficulty in relation to The Master Trials, why Hero’s Path Mode wasn’t in place originally and was instead added as DLC, timeline talk, and even the possibility of Zelda II remake – plus more. Continue on below for our full translation. Jeuxvideo.com: Breath of the Wild featured a more technical gameplay than usual, an aspect that is stressed in the first DLC, The Master Trials. Is it a new path for the series? Eiji Aonuma: In video games, you need to experience death in order to know how significant the challenge is, but also whether you are able to overcome it. The notion of death is truly important and indeed, we see Link die quite often, especially as the verticality – when he’s climbing – can also lead to falls. It was primordial for us to have this notion of mortal danger. That being said, I don’t think the difficulty is that high in Breath of the Wild. Anyhow, you have to put a minimum of obstacles in the player’s way so he can overcome them and get this feeling of accomplishment. But in the end you realize that with a bit of concentration, you’re able to cross all those barriers. Why wasn’t the Hero’s Path Mode of this DLC not included in Breath of the Wild at launch? Was it due to a lack of time? Eiji Aonuma: Yes, it was mainly a matter of development time. We had this Hero’s Path Mode in mind from the start, but we couldn’t seem to find the right formula and it was going to take a lot of time to find it. How to show it, which reading mode to use… we didn’t know how to implement it in the game and it required some time, but luckily we had that thanks to the DLC. But there’s another interesting point. If we had given that option from the start, players could have tracked their movements in real time and they wouldn’t have been surprised, although they would have taken advantage of it. But here, the appeal is that you can watch your 200 last hours, and that’s the funny part because players will wonder: “Oh, is that really how I’ve played?”. They’re going to see the route they’ve taken and what’s left to discover. There is this discovery aspect thanks to the timing of the release of the Hero’s Path Mode. At the release of Breath of the Wild on March 3rd, the feedback of the players and press was eulogistic. Did you think such a success was possible before reading the first reviews? Satoru Takizawa: Well, as from the second half of the development, we were really starting to get confident. We’d say: “It’s pretty nice, what we’re doing here”. We took a lot of pleasure in doing it, we knew we were making something really cool. Especially since we enjoyed working on it. So we were really able to finish the game without pain or suffering. That was very, very good. However, it’s true that the day the embargos were lifted and we saw the foreign media’s scores appear, we weren’t expecting that kind of feedback. I remember being told “Did you see the scores, we reached 98%”. There were 100s everywhere, and I had goosebumps when I learned about it, I was so pleased that my hands were shaking. 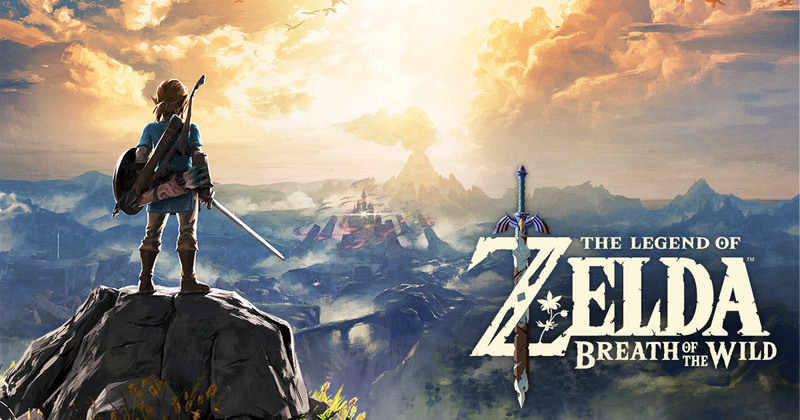 With this wide open world and progress that is not guided by narration, Breath of the Wild is distancing itself from the usual structure of the series, which is more linear and punctuated by dungeons. For the next Zelda games, could you come back to the old formula, or is Breath of the Wild the new way forward for the series? Eiji Aonuma: I think that the mechanic that consisted in exploring, then visiting a dungeon, then another in a specific order, following a predefined route, is indeed behind us. Metroid: Samus Returns, the remake of an important yet not the most popular episode in the series, was announced at E3. Do you think that a remake of Zelda II: The Adventure of Link, which has a similar history, would be a good idea? Eiji Aonuma: Would you like that? We’ll think about it. After playing Super Mario Odyssey, I noticed the structure of the levels and the search for Power Moons were reminiscent of the sandbox system of Breath of the Wild. Was there any contact between both teams regarding this? Satoru Takizawa: Actually no, when it comes to exchanging about the game, we didn’t really have that kind of contact. I have an example, by the way: Motokura-san, the director of Super Mario Odyssey, came to see us a month after the release of Breath of the Wild and told me: “Takizawa-san, you really overdid it with your game”. And I wondered what he was talking about. And then he explained to me that our game was so rich and complete that it made things difficult for him. The bottom line is there’s an influence between us when our games are released, but not so much during development. That being said, when he came to tell me this, I saw in his eyes that he was very confident in his Super Mario Odyssey, and was determined to beat us now. Let’s finish with a question that has been tormenting some big fans of the series: where does Breath of the Wild sit in the official timeline? Eiji Aonuma: Actually, those timeline-related questions are difficult because we’ve never designed any Zelda games by saying “hey, we’re going to put that game here, we need to have it fit into this period or that one, etc.” That’s not what comes first for us. But indeed, once the game is released and we’ve been able to develop our story, we can tell each other “oh yes, we can make it fit here”, but that’s not important to us. Especially since there could be contradictions in every new game if we tried to follow the timeline. If we can put a game in the timeline, that’s great, but as for Breath of the Wild, we haven’t really decided where it belongs for now. Massive thanks to Kyrio for helping with this translation! Thanks for making it to the end of this post! If you use any of this translation, please be sure to properly source Nintendo Everything. Do not copy its full contents.